Sorry, Future PS4 Fans: Titan Fall Will Not Be Coming Out For Your System. During its quarterly earnings call today, Electronic Arts’ Blake Jorgensen announced today, that TitanFall “for the life of the title,” is strictly exclusive to Microsoft’s gaming outlets. This consists of: PC (Games for Windows), Xbox 360 and the Xbox One. Meaning that this game is not exclusive based on time and will not be coming to the PS4 at a later date. For those of you that don’t know, TitanFall is an upcoming multiplayer-only FPS being developed by Respawn Entertainment which is a new studio that consists of the men who developed Call of Duty in the past. In which players, play as mech pilots opting out to engage combat using their guns or using their mechs. Think Call of Duty but with the Megazords from Power Rangers or what ever giant robot series you’re into. Also Jorgensen responded to rumors that his company was seemingly rushing the game to market. “No, we’re not doing that at all,” was all he said. I’m not really excited per say for this particular title mostly because it’s insane focus on multiplayer. I pretty much only see it as Call of Duty but, with mechs. I despise Call of Duty but, I do love mechs. Maybe if I get a person hands-on with the game myself, I’ll probably sing a new tune. 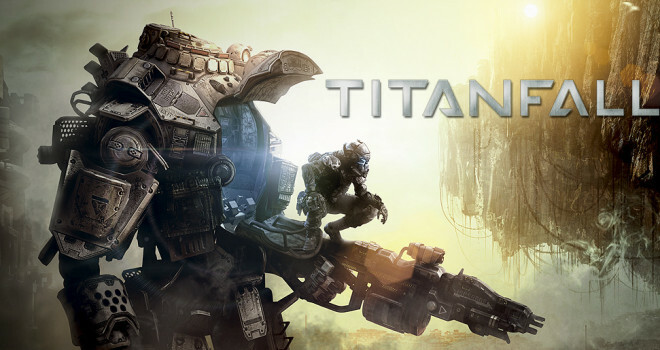 TitanFall comes out to the aforementioned consoles and PC on March 11, 2014. Why are people excited for Titanfall? A multiplier ONLY game? 1) Titanfall is an FPS game and in this day and age, a whole collection of gamers and people who aren’t gamers who only pick up games like these because it somehow personifies being a man, only play these games for the multiplayer only. Think about it, they don’t pick up Halo/Call of Duty for the story. 2) Possibly, there are still alot of people who don’t know that it’s multiplayer-only yet.